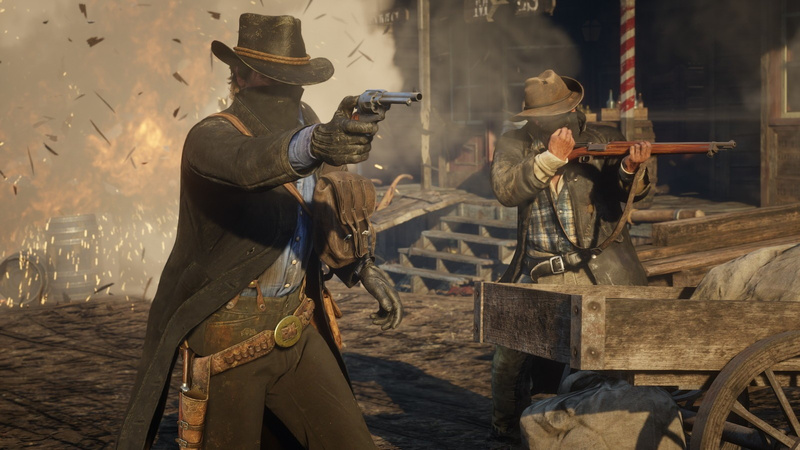 Red Dead Redemption 2’s full Trophy list has leaked – and we hope you like multiplayer trinkets, because there are a lot of them. While we’re going to refrain from incurring Rockstar’s wrath by republishing the full list here, you can view them through here. There are obviously some very mild spoilers, so be aware of that. The single player pots are fairly straightforward, requiring you to work your way through the story and 100 per cent complete all of the activities. Despite multiplayer not rolling out until November, though, there are a ton of Red Dead Online Trophies which you’ll need to unlock in order to get the Platinum – including reaching Rank 50. Good luck, cowboy. What do you make of this Trophy list? Will you be working your way towards the Platinum? What are your thoughts on multiplayer trinkets? Scream yeehawww in the comments section below. Still getting this game day one. can we just get a seperate platinum for online stuff next gen? also are there more online trophies then SP trophies? if so then that is worrying. Judging by the trophies that are revealed, it really does look like it's going to be just a graphically souped-up version of RDR1. We'll see when it comes out. I remember getting 100% in the single player campaign in the first Red Dead Redemption, took ages. All outfits, completed all mini games, every bounty, every weapon... The lot. Then I realised I didn't have the Platinum so I went to check what I missed and found all the online-related Trophies. Heartbroken. I got 100% in Red Dead 1 as well, but yeah... I gave up when I saw the online ones. I probably won't mess with the multiplayer a lot, so I doubt I'm getting the platinum, same as other Rockstar Games. Still, I think that's fair. The multiplayer is a big part of the game, even though some see it as optional. I don't think a platinum would be fair in any way for single player only. thing is they do treat both gta v and online as separate games,so why have the online trophies be linked to the platinum of gta v aswell? the reason i'm saying this,is that rockstar already stated that rdr and it's online will be separate entities,yet they again force you to play online if you want to get the platinum. why not make 2 platinum's or just have online trophies be a seperate trophy list like devs do with DLC's? The cynical reason for this is obviously that Rockstar want people to sample the online element with a view to pimping sales of microtransactions to them once they are invested. One platinum I won't be getting and ironically it may mean I end up playing the game less overall as there won't be as much incentive to 100% complete it. Why doesn't it just have 2 platinum trophies? They're essentially separate games anyway, this forcing people online is just nonsense and it's bad enough when Naughty Dog does it. @jdv95 A separate, second Red Dead Online Trophy list would be cool. I don't care about trophies when RDR is in question. I will just roam the land on my trusted steed. I hate online trophies when they're a necessary count towards a platinum. They should be separate like DLC trophies are or like what ME Andromeda did with its online trophies, give a single player alternative for the same trophy. Saying that, getting to level 50 in Red Dead Online will be cakewalk, I'm level 545 in GTA Online. I'll pass the platinum then, I don't like online trophy. Most of you need to chill, platinums are meant to be hard or at least time consuming. The two modes are in the same game and it is quite obvious that there are going to be a few online trophies taking in mind the dimensions of the online mode. GTA V did it, GTA IV did it, RDR did it and RDR2 wil be the same. Instead of looking at it as an obstacle, look at it in a way most people are not gonna get it, but I can do it. Strong arming players into online multiplayer to get the platinum is nothing more than a shameless tactic to generate more cash from microtransactions. Tbh I am happy with that list as I was expecting there to be more (and harder) online trophies in the initial list and these MP ones could tempt me to bother with MP if I can easily up my completion % online. Though I do firmly believe there ought to be separate platinums for really long SP campaigns like RDR and GTAV, because by golly we deserve some virtual recognition when we bother to 100% SP games that long! Just look at it as balancing out the comparatively easy plat trophy in Spiderman. Gotta have balance, and as we all know this is the Internet, never going to make everyone happy. Though as somebody who never plays online I would prefer separate trophy lists for single and multiplayer, but then again I never get more than 50% in any game anyway, that's usually when I've finished the main story. Sometime 35% depending on how it plays. They're a bonus, not an end. No platinum trophy cause some of the online trophies were too much of a bother. Don't care too much about it, it's just a virtual trophy case, who cares really. Like 99% of people online won't even bother looking at your trophy list lol. 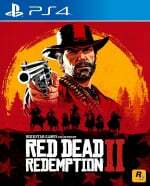 tbh this game will be too large for me to 100% but I do hate the online one because, not likely with RDR2, if the online element dies, who can play? I might try to get the 100% completion in the single player, but I'm not going to bother with the Platinum. Nothing new Red Dead on ps3 needed you to do online trophies as well for the platinum. One was a nightmare to get blowing up loads of people in one go i remember tossing a stick of dynamite into a multiplayer match warehouse killing enemy's and team-mates to get it and not being the most poplar player on the month to get it. Really forcing that online down your throat. Boosted the first Tomb Raider reboot on the PS4 and it took me so long i did not finish the singleplayer because i could not stand the game anymore. Rockstar just lost my money. Multiplayer trophies are just excuses for microtransactions which is why I refuse to buy a game that use's this shady practice. The game is way to big to play multiplayer as well, let alone grinning for a trophy in multiplayer that you gonna have to be played for 600 hours just to get if it PvP. Normal game trophies can be done in fewer hours than that. I can platinum a game in 60 hours with no multiplayer trophies, the multiplayer game I don't play any more. Im passing on this game, thank you rockstar you just made my decision not to buy your game, I save my money for just cause 4. I wouldn't expect high sale after this. What's the point of trophies? It's not a sort of cashback as I know. Useless waste of time. Not buying a game because of trophies is mental. Same excuse as not buying the game because there are no purple trees with hanging unicorns. @gameghost12 now that is just silly. i'm known to despise MP/coop trophies but i would never pass on a game with an awsome SP just because it has MP/coop trophies. if i did then i would never had the luck to play uncharted and TLOU,gta v and all other big series since years. i mean you do your thing,but i just think that it is a stupid reason to not buy this game. Unlike portable or otherwise hybrid consoles, online-only on home console isn't that much of a big deal. Or, at least, shouldn't be. I don't know, I'm just assuming. @MadAussieBloke, we miss you on NL! Snarking hasn't been the same there ever since you left. Online trophies need to be separate from the single player list, and that goes for all games. @CidMaik and i can easily skip the mp trophies without thinking about it. Since when did trophies become the 'only' reason to play games? If certain trophies are not something you wish to go for then don't, it doesn't detract from the game at all!! Online Trophies don't force you to play Online at all either - its still a choice as to whether you want to play the online game and 'grind' to get the criteria met - often not exactly difficult and no different from playing the story - unlocked through general play. Its not forcing you to play, not forcing you to buy micro-transactions etc - its still a choice and I bet every single one of those trophies can be achieved with NO additional cost. I quite enjoy trophies and achievements but I NEVER let them dictate to me what game I buy, what I want to play etc. I would rather see trophies removed completely if it means people can go back to playing and enjoying the game the way they want rather than feel like they have to do things they don't enjoy for a meaningless trophy. Having a platinum means NOTHING - other than you enjoyed everything the game offered. It doesn't make you more of a gamer than someone with no/few platinums - maybe even less of a gamer if that's all that is important to you to the point you feel you have to complete everything. As for separating the trophies up between online and offline, I think that is ridiculous! You buy a game as a complete package and if you don't enjoy online, don't play online. Gaming isn't abouut how many platinums you have but enjoying the game, the parts you want to play.I would NEVER play a game I didn't want/like just to get an easy platinum - not when I could be playing a Game I do want to play - whether it has any trophies/achievements or not. Its not going to affect my decision to buy or play RDR2 at all - and I have NO interest in its online portion at all. A game is 'finished' when I have had enough of playing it - not when I get a platinum!! Of course, they want to force you to play multiplayer and hopefully get addicted and spend hundreds of dollars on card packs. Looks like I'm just doing the campaign and I'm out. Have no interest in the multiplayer portion of this game. @jdv95 yes a separate list like dlc's. That a very good idea. I have way too many games to get through almost all the time to be a trophy hunter. I have 1 Platinum, and I honestly don’t care. Then again, I never liked the whole concept, anyways. It’s cool if a developer wants to unlock fun things for accomplishing various feats within a game, it’s another thing to do it at the system level for....bragging rights, I guess? I kind of wish games with online trophies didn't require them to be completed to get the platinum. Make them a separate type of trophy or something, especially on a system with paid online. And it's especially frustrating if you're playing an older game with a dead online component. Why should I be locked out from the platinum just because I didn't play the game in the right time period? @NintendoFan4Lyf Personally, I use trophies as a way to "honor" games I like. Collecting all the trophies and having that permanent addition to my account helps me engage further with a game. I don't care about them on their own, though, and I don't really talk about them much, so I can't say they're for "bragging rights." I just like having that permanent mark of having fully completed the game. I was never going to platinum this game anyways so doesn't bother me. Soon as I beat the story I plan to move onto Spyro: Reignited Trilogy. Those online trophies are pretty simple by the looks of it. I've platinumed GTAV and the online stuff in that involves winning X amount races against other players in a personal vehicle, coming first as a co-driver in a PvP rally and so on up to, and including, literally winning every PvP game type so, by comparison, the RDR2 online stuff seems pretty easy. In fact, most of them seem to be stuff you can do solo online. If the "gold belt buckles" are from challenges like in RDR then most of them were things like "Pick X amount of (whatever) plants/flowers" or "Kill X amount of (whatever animal)" so you could easily do them on your own. But let's be honest... was there really ANYBODY who DIDN'T expect there to be online trophies in RDR2? The first game was full of them and the online trophies in that were similar to the GTAV ones yet far harder. Things like being the top scoring player in three public Free For All matches or be on the winning side in four team based public matches so there was no way to boost it for trophy hunters. Oh. And each of those had to be done CONSECUTIVELY or you'd have to start over. So, aye... it's good to see they've made it an easier plat. @jdv95 It not that I don't like multiplayer content, I just hate when its force on a game for trophy hunters, Especial when a game is this long 40 hours of gameplay, the average game with non-multiplayer trophies take up to at least 2 to 3 weeks to complete depending on how much time you have. My problem here is the force multiplayer trophies, if I ever play this game it will be when it a knockdown price only playing for the story. The game is far too long to have multiplayer trophies when is gonna require you to spend over 500 to 600 to get because it will be pvp multiplayer making it harder to get the trophies, sorry but that not fun for me, that wasted time I could be having getting another platinum. Multiplayer shouldn't be forced because not everyone like multiplayer it should be optional, Rockstar have basically forced trophies, hunter, to play multiplayer which again is wrong, I hate multiplayer trophies, I think they are unnecessary in a game and not needed. Rockstar will be punished for it in their sales. Not everyone has friends on the same console that are playing the game to do co=op. this is another thing these DEVs don't think about, which is why multiplayer should be optional and not tied with the platinum trophy of the game since the game trophies will be enough of a challenge when you have to collect things. @Nakatomi_Uk Blame EA for that they started this in the industry, Activision followed suit, now Rockstar doing it, this industry has become more apart pushing for more money, than the art and enjoyment of gaming, them getting rich off the dumb fools that pay to win. @1_W1NG3D_4NG3L I agree with you, but solely because of the reason you gave me. Most people here though, are crying because they want two separate trophy lists because they don't want to play the online mode.